“Water Stories: A Conversation in Painting and Sound” is at the Museum of Science, Boston through January 2015. In recent years I have conveyed ideas about water and the phenomena of water through nature, the news, memory and imagination. These paintings explore the beauty and foreboding of water, related to central themes, mostly manmade and thru climate change affecting this country. Sound artist Halsey Burgund has created a 35 minute audio composition that accompanies the paintings, comprised of five sections grouped by thematic content: The Future, Stories, Bad Things, Science and Cherish (click each link to hear the audio compositions). The voices are edited and combined with water sounds and musical elements and play in a continuous loop throughout the gallery. 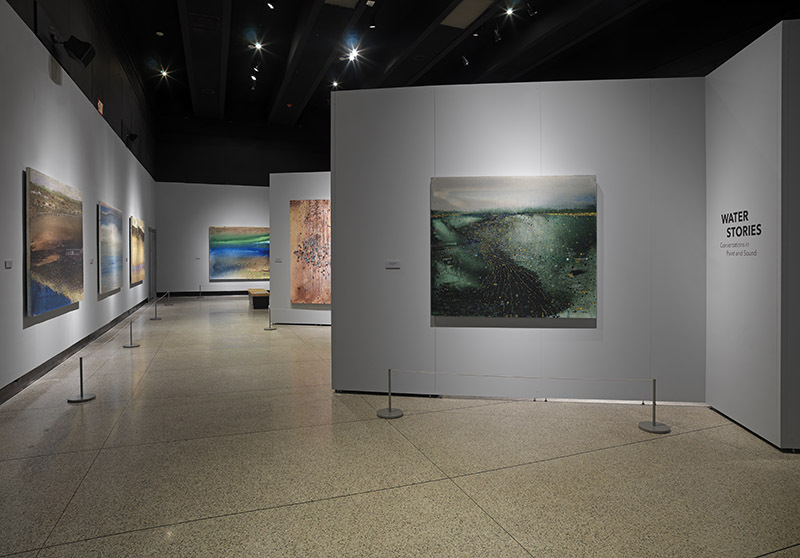 By placing this work in this Museum of Science there is an extraordinary opportunity to clarify and illuminate issues around water through visceral connections that paintings often elicit from viewers while raising public awareness. My hope is that this exhibition will spawn a new sense of ownership about not only the issues facing us about water but how we use water on a daily basis. "Together, Anne and I plan to explore big ideas about what’s happening with water in this country. 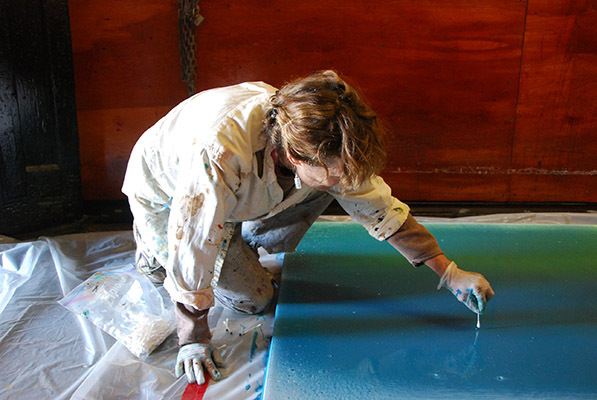 In the 2014, the Museum will exhibit Anne’s work and host a series of related programs. At the Museum, we find that mixing art with our more typical educational approaches works well. The art opens people to ideas, emotion, scale, and import, in ways that more explicit techniques may not. It broadens the audience, welcomes people who learn differently, and adds dimensions of experience that are otherwise unavailable." 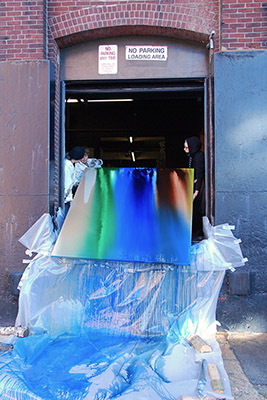 The above video is a two minute plus video by Bryan Barton called "A Pour," produced to demonstrate how each of the water paintings began. Because the canvases were so large I had two assistants work as my extended arms to move the canvas! See all the paintings in the exhibition here. Water Stories is included in Scientific American's "The ScienceArt Exhibit Roundup This Fall", October 30, 2014. 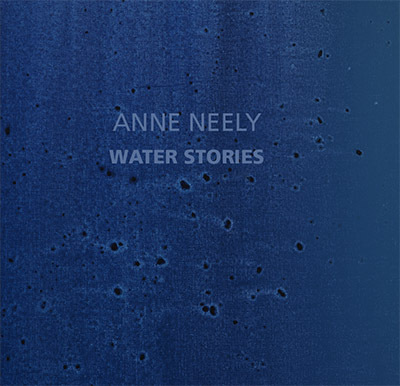 Anne Neely Water Stories from Anne Neely on Vimeo.